Paul had intended to go to Rome. He had great aspirations to do this, but had repeatedly been prevented. He didn’t want to go once, but often. This was an on-going desire that had yet to be fulfilled. He wanted to go, not for a memorable vacation, but for the purpose of ministry. He wanted to see the gospel make progress among the Romans. There are times, many times, when our great ministry intentions are frustrated. We don’t get all we want to get done, done. Paul was not alone in this. Let us not jump to thinking about that wily Enemy as the great frustrater of our plans. Let’s remember that providence often prevents us from doing what we plan on doing. All of us, pastors, elders and lay people, have competing elements to our schedules. We have to take care of our selves (sleep, food, hygiene, exercise), our wives and families (if we have one), public & personal ministry (with all the preparation that goes into them). We each have the allotted 24 hour in which to do all of this each day as well as the allotted 7 days a week. God has made us finite beings with boundaries. While we are often frustrated with our finitude (why do I need that much sleep??) and our boundaries we have to trust that this is good and for our good. This means we will inevitably leave something undone each day, week and month. How can we process or prioritize? I’m thinking here of ministry. In most instances, I think the public takes priority over the personal ministry. I typically preach, teach SS, lead a community group and periodically lead the men’s study. Each of those responsibilities takes time to prepare. I want to do them well. As a result, I prioritize my preparation time. I am the pastor of an established church. And a border-line introvert. And may have ADD. Some people might criticize me for “hiding” in my office. But I can’t study in Starbucks in the hopes for evangelism opportunities. I couldn’t even study in the library in seminary. I get too distracted by all that is going on around me. Some guys can do that- and God bless them but I can’t. I have to serve in light of my strengths and weaknesses, not yours. There are times when that preparation for public ministry takes a back seat. Personal ministry in terms of hospital and death bed visitation gets pushed to the forefront. Or time in court (thankfully rare but it happens for criminal and civil cases). These are examples of personal ministry that can’t be pushed back to a time when there is more time. Some meetings with people are able to be moved around in the ebb and flow of ministry commitments. Blogging is near the bottom of things. As you might be able to tell by the decline in blogging in recent years. Pastoring a small but growing congregation in the midst of a building project will do that. Working on books for publication are low on the scale because I don’t have hard deadlines. At some point editing may move up to high priority, like it did while on vacation. While connected to my professional, or vocational, responsibilities the church isn’t paying me to write books. As noted above, at some point I need to take care of myself. I found myself gaining weight. I decided I want to be there for my family and congregation for years to come. Therefore getting exercise is important to me. I have to be careful it doesn’t become idolatrous. I’ve seen too many pastors that seem like Cross Fit might be a bit too important. I want to be healthy, not ready to compete with people 20-30 years younger than me in strenuous athletic activity. I also need to spend time with my wife and kids. I’m not quite spending the time with my kids that I want to. Some of that is I’m tired when I get home, and some is that they play together. But this I know, I cannot and will not do everything I want to do. And if I take that passage in Romans 1 seriously, that is okay. It is okay in the life of the church elders, deacons and lay people too. They have to sort that out in light of their callings and resources. But too often we just succumb to the tyranny of the urgent. We don’t necessarily see God at work in our circumstances to accomplish His priorities for us and our ministry. Perhaps that is why we often feel so frazzled. We fail, or refuse, to trust Him to accomplish His plans and agenda instead of our plan and agenda. I spoke with an old friend today and he asked about the Red Sox. He was not jabbing me, he doesn’t follow other teams very closely. This has been a very bad season for the Red Sox. It was a team built on a lengthy series of “ifs”. Most of these things had to turn out positively if the the Red Sox were to have a good season. Here are some of them. If Dustin Pedroia regains his stroke and stays healthy, they can be a good team. Dustin did regain his stroke. He was not up to his usual standards defensively, but still better than most second basemen. But he didn’t stay healthy, pulling a hammy he has been on the DL twice. He is close to returning but it won’t really matter. 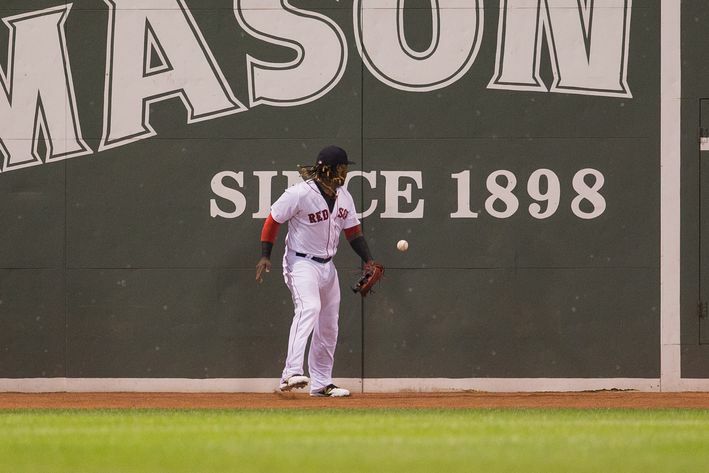 If Hanley Ramirez can learn to play in left field, they can be a good team. This clearly didn’t happen. His frequent miscues have extended innings and cost them runs, and therefore games. This has been one of their BIG problems. 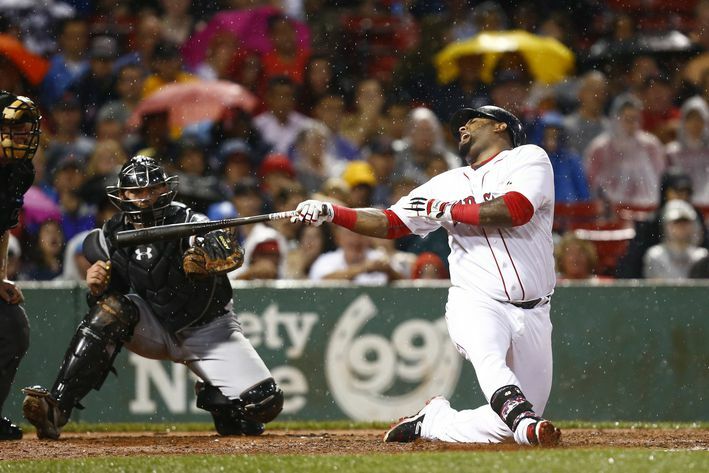 If Pablo Sandoval can keep his weight down, they can be a good team. This hasn’t happened. He has had conditioning issues running the bases. His defense has been very bad (not quite Hanley Ramirez bad) costing them runs and games. His offense has been fairly pathetic. If Clay can pitch like early 2013, and stay healthy, they can be a good team. While he struggled early, he returned to dominant form. Until he got hurt, that is. He was the one pitcher who consistently went deep into the games, giving the bullpen a rest. His injury doomed a bullpen that was already in trouble. If Jackie Bradley Jr. can figure out MLB pitching, they can be a good team. JBJ is an elite defender. Some say he is the best centerfielder they have ever seen. But so far he’s hit well under .200. It has only been in the last 8 days that JBJ has given us any hope that he can hit big League pitching. Too little, too late for this season. but maybe it will pay dividends in the future. If Xander Bogaerts can improve his defense and hit better, then they can be a good team. These both happened. Xander has been one of the bright spots in this line up. His defense is much improved over last year. His time working out with Pedroia has paid off. After a slump to start the season, Xander has been their best hitter. He still doesn’t exhibit the power we think is there. Perhaps that will come next year, but he is still driving in runs. If Mike Napoli can sleep his offense may improve and they can be a good team. He’s been getting sleep, but his offense seemed to fall asleep too, except for one weekend that got him offensive player of the week. The abysmal production from first base was a key factor in this lineup not fulfilling its predicted potential. He was hard to hate, but this was an ugly season for Napoli. If Rusney Castillo can fulfill the promise and stay healthy we saw at the end of last year, they can be a good team. He didn’t, and he didn’t. Part of that, I think, is on Farrell. If guys don’t get consistent playing time the can’t get in a good rhythm. With increased playing time recently, he has begun to produce at the plate. Just when you think he’s going to break out, he fouls a ball off his foot and misses games. He doesn’t need to be the second coming of Mickey Mantle but Dwight Evans will do. We’ll see how he does the rest of the season. If the new pitchers develop their evident skills, they can be a good team. Miley was an innings eater. Until this year. Though he his much improved and has lowered his ERA, there have been too many short starts which have put the bullpen in disarray. As the season wore on Porcello got worse and worse. He would give up a big inning or two, which resulted in short outings which taxed the bullpen. Joe Kelly couldn’t seem to put any movement on his pitches and was hit hard leading to short outings thereby taxing the bullpen (have you picked up on the theme????). Eduardo Rodriquez was called up and did well initially. He has struggled lately and needs to make adjustments. Henry Owens has not really impressed in his two starts, but we’ll have to see. Steven Wright, the knuckleballer not the comedian, was just starting to put it together when he was hit in the head during batting practice and went on the concussion list. The bullpen has chewed up and spit out pitchers. I’ve lost track of the “if they can put it together” guys who didn’t and got DFA’d. You really can’t build a roster of “ifs”. A few are understandable, but they can’t encompass nearly every player. This is the lesson for Ben Cherington and the gang. Just like you want cost certainty, there needs to be some level of performance certainty. You can’t have too many guys who regularly end up on the DL. You can’t have too many guys at the beginning or end of their careers when production level will be a big mystery. He needs to limit those “ifs” next season. That probably means undoing some of what he did this past offseason. It may mean eating lots of salary so Pablo and Hanley aren’t killing the team. An outfield of JBJ (if his increased production lasts beyond a week or so), Betts and Castillo would be young, talented, strong defensively and better than average production-wise. Brock Holt can have you solid defense at third and hit about .280. He won’t have that corner power bat, but neither does the Panda. Shaw looks like he may be a good fit at first, flashing some power. All is not lost. There are some good pieces moving forward. But they need to eliminate the liabilities that are killing them. I’m still not sure how to fix the rotation and bullpen. Yes, we’ve been inundated with information and reports about Deflategate since the day after the AFC Championship game. Many or most people jumped to rapid conclusions, often in accordance with their team loyalties. Patriots’ fans have by and large defended Tom Brady. The rest of the universe seemed to pile on because obviously every Patriot is a cheater. And only Patriots it would seem. I’ve talked with some people and what is clear is that people’s presuppositions control how they view the evidence. What is also clear to me is that the NFL has largely controlled the PR/media war on this issue. This is because they had and controlled information (thankfully there is a growing number of sports and legal writers around the country beginning to question the NFL and its narrative). Sadly this has included leaking false information, and knowingly giving the Patriots false information that prejudiced the public and was intended to intimidate the Patriots and Tom Brady. The Commish seems to have forgotten that the Code of Conduct applies to all NFL personnel, including his office. As the recently released e-mails reveal, the General Counsel of the NFL refused to correct information that unduly tarnished the reputation of a member club. As a result this has the feel of Kafka’s existential novel The Trial with Brady cast as the clueless accused man who dies but never knows the charges against him. This “scandal” never should have gotten to this point. It should have been treated as an equipment violation and a fine in keeping with the rules. Done. It also should have prompted the NFL to improve their procedures (or more truthfully to actually have policies and procedures). One thing the released testimony reveals is that they, like Brady, really didn’t care much about PSI, and they only selectively care about it now (they didn’t ask any questions of Adrian Rogers). Let’s looks at the testimony. I think generally Brady comes off well. He is consistent in denying any knowledge or intent. The one thing that really doesn’t look good is the phone. Not so much that he had it “destroyed” (which is never really defined). The timing looks bad. The fact that he was able to produce an earlier phone looks bad. BUT, they have the logs of texts and emails from that phone. We don’t have the content, but we would have the corresponding side of the pertinent conversations from Jasremski (a fact seemingly overlooked by just about everyone wanting to string Brady up). Brady was genuinely surprised when he learned of the matter during his weekly interview with WEEI. Yes, he subsequently was in contact with Jastremski. This is for two reasons, as Brady related, which are not as nefarious as the haters want to make them. First, they were going to the Super Bowl! This was the first time that Jastremski had this position when the Patriots have gone to the Super Bowl (he has worked for them for about 12 years in other positions). The Super Bowl is a whole different enchilada. You have to prepare about 100 new balls (because the league wants to auction them off). Additionally, Brady wants to see if he is distracted by the news as they head into the biggest game in years. There is no need to import evil intentions here, unless you are already biased. Brady did not seem to care about PSI until the Jets game when they were over-inflated by the refs (this is not the scandal you are looking for…). The NFL simply refuses to accept his repeated assertion that after that game he insisted they be at 12.5 in accordance with the rules. They aren’t the only ones as I’ve interacted with people who ignore this in the Wells’ Report as assume this means he REALLY wants them lower (biased much?). By the way, now some of what Brady feared by giving them the phone and/or records has happened, as it did in the case of Jastremski and McNally. Irrelevant emails have been released that make him look bad. That is the kind of stuff ordinary people have to hide on their phones- snarky comments about others. In this case some comments about Peyton Manning. He is a statistician, not a scientist. He purpose was not to question the science of Exponent, but the process of Exponent. They did have a flawed process in their experiments to attempt to replicate the events to see if the ideal gas law fully explains the deflation of the ball. They did not include time, particularly time back in the officials room. The longer they would be there, the less deflation would be registered (which explains why the Colts’ balls lost less). Since their process was flawed, their findings are not reliable. I think he’s right. This case assumes tampering with the balls, but the deflation seems to be within expectations (depending on the gauge used- more on that in a moment). The NFL has disregarded the truly independent reports that state this and seems to double down on Exponent unwisely and unfairly. In discussing the information conveyed to the Patriots about the Colts’ balls, it is clear that the NFL is quite comfortable with using the results of one gauge to put the Colts in a good light, and the other to put the Patriots in a bad light. That is corruption, people. That is using two different standards. Additionally, they did not take weather conditions into consideration (to be fair the rules as stated make no mention of this reality either). Vincent also looks bad for basing his recommendations on the Wells’ Report which had been edited by Pash. It was not based on the full testimony of all parties involved. Once again, an improper process on the part of the league officials. Kessler also brought to light that in the past “integrity of the game” issues were not concerning players but team employees. This would be a change in policy without notice to players. Once again, unfair procedure. I will give Vincent the benefit of the doubt, that he misunderstood the question about when he became aware of the situation. What many people are thinking about is the memo from the Colts. The Ravens denied any responsibility in warning the Colts about “deflated balls”. Technically they are right. However, their kicking consultant Randy Brown did contact Colts coach Pagano (who used to work for the Ravens) about kicking balls being rotated in properly. They did contact them and about balls. But the Colts’ memo alleges that the Patriots have been known to deflate balls. There is question about how they realized the ball was allegedly deflated. The player who intercepted the pass denies noticing or saying anything. Which means the Colts equipment guy had a gauge and tested it. All questionable, but not addressed. Unfortunately. Nash invoked client-attorney privilege when Wells was asked about Pash’s role in the final product. So, was he independent or an attorney hired by the league? Wells then testified he was hired as an attorney with the NFL as his client. Reisner, who represented the league in cross examining Brady, wrote the first draft of the Wells’ Report. Wells and the NFL have therefore consistently misrepresented this. Kessler gets him to admit that he interprets comments regarding the Jets game and over-inflated balls to refer to deflating. Just how does that work? This is the whole problem- Wells (and those biased people) take these comments in the worst light which is actually contrary to what they actually mean. How can we have reasonable discussions when we do this? He also takes an email from McNally to Panda where McNally says the balls should have been 13 psi instead of 16 (referring to the Jets game) and then Jastremski and gets Wells to admit they were being truthful. So, where is the scheme? He admits they wanted them within the league-mandated range. He also admitted there was no data regarding time and temperature. How then, can there be any actual evidence that someone deflated the balls. It is a supposition based on total conjecture that cost the Patriots $1 million and a 1st round pick, and may cost Brady 4 games but certainly cost him his reputation. Nice…. He presents Anderson as utterly trustworthy and reliable. Anderson says he used the logo gauge, but could be mistaken. Okay. That means we can’t be sure which gauge was used. But Wells decides Anderson was mistaken, and goes with the gauge that produced the lower readings. Reasonable, right? No, it isn’t. Perhaps I’m an idiot but I can’t understand the rationale he, and Exponent, used to claim with certainty that the non-Logo gauge was used. He also admitted that he didn’t find Brady credible because of the phone, a phone he legally didn’t have to provide. (Reminder, Goodell never provided HIS personal phone in the Ray Rice investigation but didn’t consider that refusal to cooperate and actions detrimental to the league.) A phone his counsel advised him not to provide. A phone his union advised him not to provide. A phone which if provided would most likely have meant the release of lots of irrelevant and damaging information. Failing to exercise rights means a lack of credibility. So much for the presumption of innocence. Wells basically rejected everyone’s testimony, even the security guard who said that McNally brought the balls to the field, alone, about half the time (contrary to Mr. Anderson’s claim). Despite there being leaks, and statements made by league officials that may indicate prejudice, Wells did not investigate anyone but Brady and Patriots’ personnel. No one else’s texts or emails. This despite the request of the Patriots’ organization. A truly independent investigator would have investigated league involvement and missteps in this process. Nothing about what happened after the league received the pre-game report from the Colts complaining about balls. He admits that Gostkowski refused to provide his phone. But that was no big deal since they decided he wasn’t central to the investigation. No accusation of lack of cooperation. The NFL called 3 different people from Exponent for some highly technical testimony in which they basically say they are the only ones that got the testing right, and it proves natural causes alone are not responsible. They did admit that there were too many variables to replicate in tests. Therefore the results are questionable and there is sufficient doubt, or should be . Goodell focuses, in his judgment on the phone.and suddenly seems to ignore the “science.” The bottom line is that just like global warming or any other scientific question, there are legitimate differences of opinion instead of rock solid veracity. Didn’t testify. Not sure why, meaning I can’t recall who didn’t want them testifying. Since their testimony was not present in the Wells’ Report it probably is the league, not the NFLPA. The full-time dentist and part-time official didn’t testify. As a result there was no opportunity to discover more about normal policies and practices. For instance, do they listen to the ball guy about QB requests within the legal boundaries or not. If I’m the NFLPA I’m calling them. Did the league block this too? He didn’t testify. But he asked some questions. Some of them sound like he wasn’t really paying attention. The reality is that this makes the Commish look BAD. We get to see how he statements (and other NFL statements) have manipulated and withheld testimony to support judgments. In other words- they lied. Repeatedly. These transcripts reveal that. And they manipulated testimony to make Brady look bad, to look guilty. If you look at the transcripts you will see that after break Kessler wants transparency. He wants them released. The NFL did NOT want them released in any way, shape or form. Why? Because they can no longer control the flow of information and therefore manipulate the outcome and cover up the pattern of deceit and corruption. It may not matter. Many people’s minds were won by the fallacious and malicious PR campaign by the NFL. No one looks good in this mess: Brady, the league, Goodell, the Colts and Ravens, Chris Mortensen … Nobody. I’m not saying this proves Brady didn’t do anything, or that McNally did nothing (he may have acted on the demand of Brady to circumvent officials who ignore the request). But the supposedly “circumstantial” evidence begins to evaporate. There is evidence of wrong-doing on the part of the NFL. Will people ignore that? Will they shift their outrage to the people who we know who did wrong? Probably not. And the sad part is this destroyed a man’s reputation over what may have simply just an act of nature.